Photo Courtesy of Doug Kerr Since 1813, a bridge has crossed over the Sacandaga River in the same spot that the Hadley Bow Bridge still stands. The Hadley Bow Bridge was built in 1885 on the abutments of an older bridge and served pedestrians and vehicles until 1983, when it was closed due to severe deterioration. 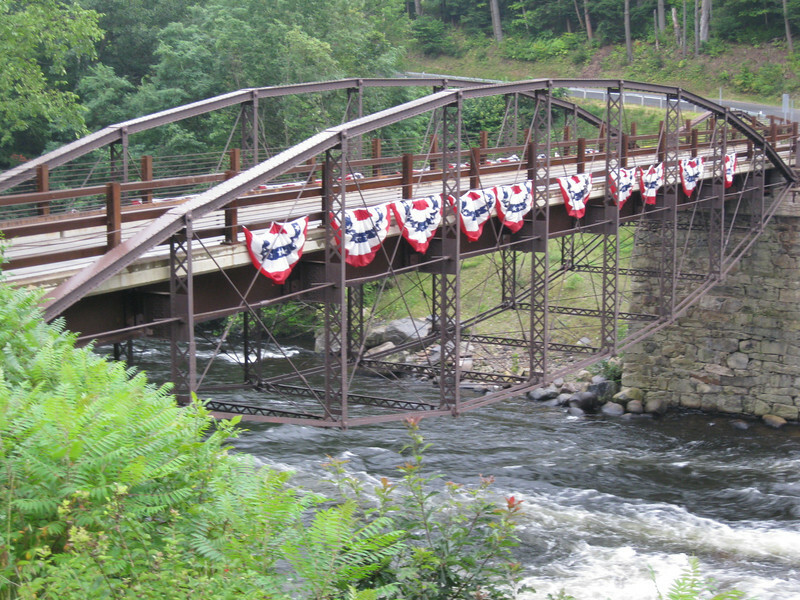 Saratoga County had planned to dismantle the bridge but as a result of local lobbying to save the bridge, Saratoga County planned efforts to rehabilitate the bridge. Ryan-Bigss Associates prepared a Historic Structures Report which outlined the condition and options for the bridge. When Saratoga County received a Transportation Enhancement award for $1.16 million to rehabilitate the bridge, Ryan-Biggs Associates was selected for the category 7 project. The project included the stabilization and rehabilitation of the existing bridge and construction of an independent supports system to bring the bridges load bearing capacity up to the modern standards. The bridge is of National Historic Civil Engineering importance and was added to the National Registry of Historic Places in 1977. It provides a key link to a popular scenic vista of the Sacandaga River and nearby footpaths.